Have you inspected your roof lately? Be wary of damages that require immediate roof repairs! Don’t ignore broken shingles that could let water in or indoor air out, clogged gutters that could eventually become the root of moisture retention and leaks, and water damaged soffit and fascia that could teem with molds and pests. You might wonder what causes these problems and how you can prevent them. Improper gutter cleaning, poor roof maintenance,and unprofessional installation or repair jobs are among the top reasons, and you can avoid these by being more diligent with roof maintenance and wise about picking out a contractor. On the other hand, some factors that can bring about these problems are difficult to prevent or prepare for—the outdoor elements and forces of nature. 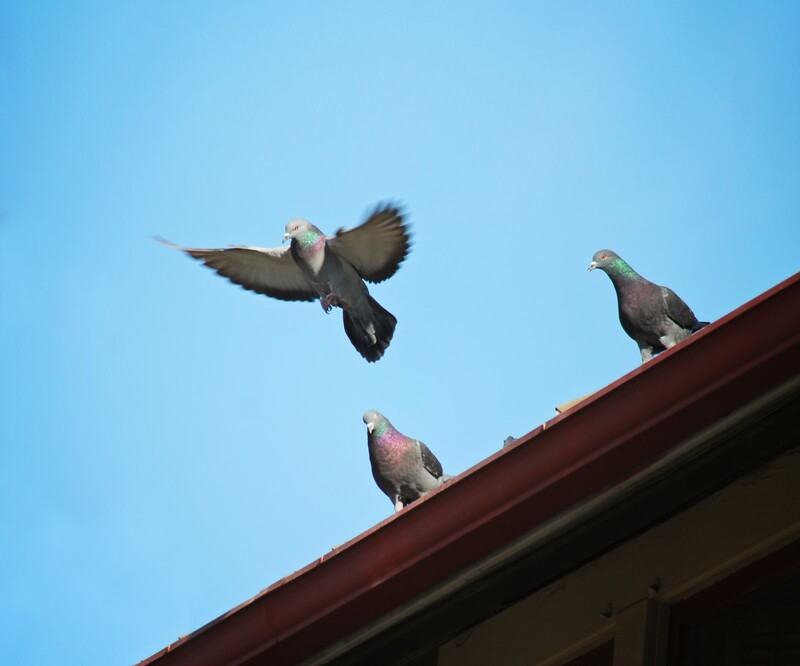 There are several pests that commonly irk residents in Palo Alto because of the many health and property damage concerns they bring, including the destruction they can bring to roofs. Birds and small mammals (like raccoons, squirrels, and, rodents), for instance, can use gutters as pathways—or even as dwellings. They can also take advantage of broken soffit and fascia and claw or dig their way into your home, which would worsen the damage. Stinging insects and other pests, meanwhile, won’t directly damage your roof, but their beehives, birds or wasps nest, and the accumulation of their food or other debris can becometoo heavy. When the weight becomes substantial, these things could strain your roof shingles, or fall from high trees (as in the case of beehives and nests) and could destroy a portion of your roof. The intensity of weather conditions can also be the cause of damage. Water from heavy rains or hurricanes can pool on the roof, seep through cracks, and destroy the structures over time through moisture, mold, rot, and other forms of water damage. Winds can blow away loose shingles or carry tree branches and other heavy items that can damage the shingles. Hail, particularly the large chunks of ice, can also be destructive. Other times, tree failure (where major branches fall or the whole tree falls down because of aging or decay from tree diseases) can also substantially injure your roof. When natural elements do take their toll on your roof, have the problems addressed immediately before they create larger (and more expensive) roof damage. Certified roofing contractors in Palo Alto, CA like Shelton Roofing can assess the damage for you and recommend cost-effective repairs tailored to your situation.